Qingdao Jie Yide commodity factory is a company that specializes in the research,development, production and marketing of cleaning brush. 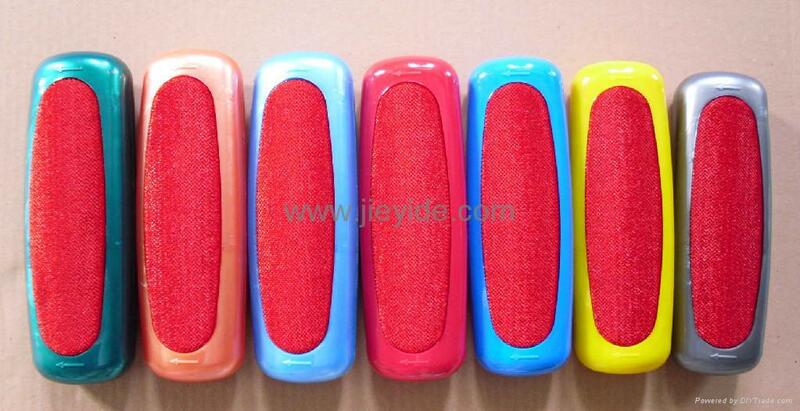 Our brand is JIEYIDE which very famous in the China, our products can be used to clean doss, bedsheet, foam cushions, foot carpet, Car Floor carpet and so on, If you have a trouble to clean sand, dust, the husks of sunflower seeds, peanut peel.hair and the hair of pet with the conventional cleaning brush, such as Dust collector and broom. You can use our cleaning brush, that can be easily cleaned. If you Use our ”JIEYIDE”cleaning brush when doing housework, You'll save much time and strength..
compare with the dust collectoer, Our product do not need the electricity, no noise pollution, no secondary pollution, and small, ”JIEYIDE” cleaning brush is your best choice.